In early 2016, I reported on my “field trip” to the Tucson Show, a gigantic event that covers several weeks in January and February. Well, now it’s time to talk about my field trip to the 2017 show. 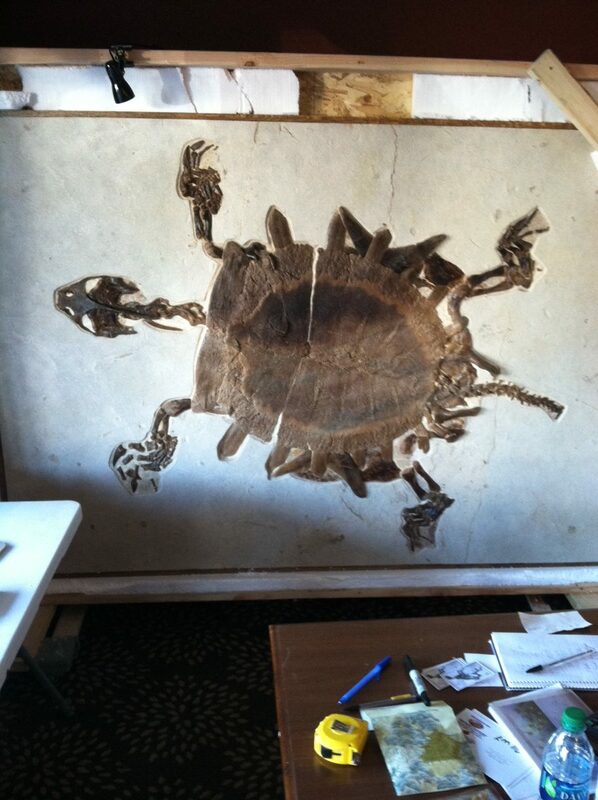 For those not familiar with the event, vendors from around the world descend on Tucson to sell fossils, minerals, gemstones, jewelry, shells, and so much more. They set up shop in motels, warehouses, vacant lots, and the convention center. 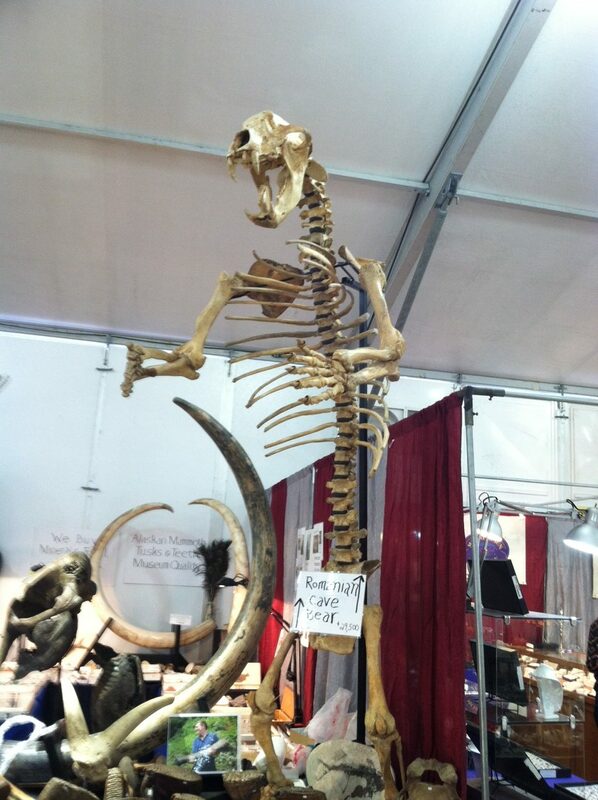 Hundreds of vendors, countless tons of rock, acres of tables covered with specimens, with prices ranging from a few dollars each, to thousands for the exquisite museum-quality material. And over 50,000 customers. It’s a challenge just to take it all in. For fossils, I focus on the Arizona Mineral and Fossil Show, which is held at several venues along Interstate 10 (www.mzexpos.com/arizona) and the 22nd Street Show (www.22ndstreetshow.com). You can enter a room that is literally filled with only Russian trilobites, hundreds of them, leaving the shopper with the wonderful problem of how to decide. Or a booth that contains only East Coast shark teeth, or fossil fish from Wyoming, or Arizona petrified wood, or ammonites from Madagascar, or Western dinosaur bones, or…. Here are some pictures to wet your appetite. 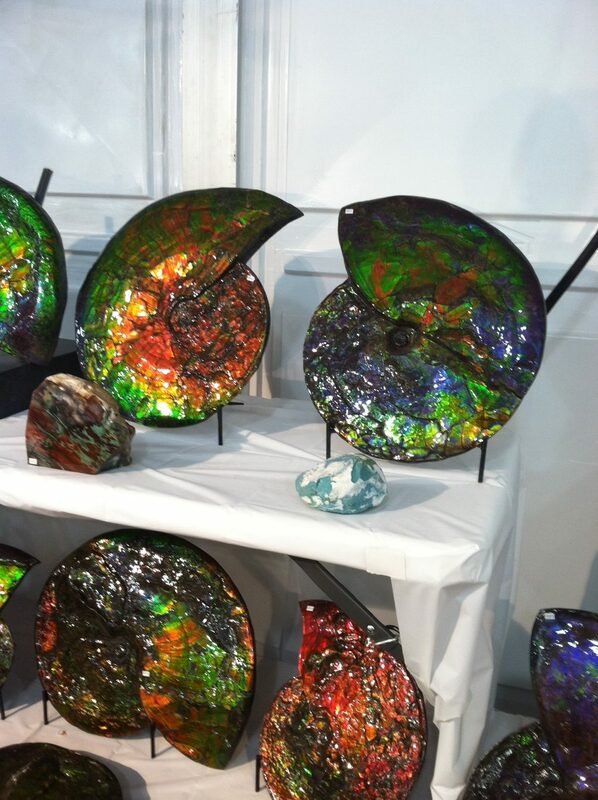 Iridescent Canadian ammonites the size of large hub caps. Huge Rumanian cave bear skeleton. 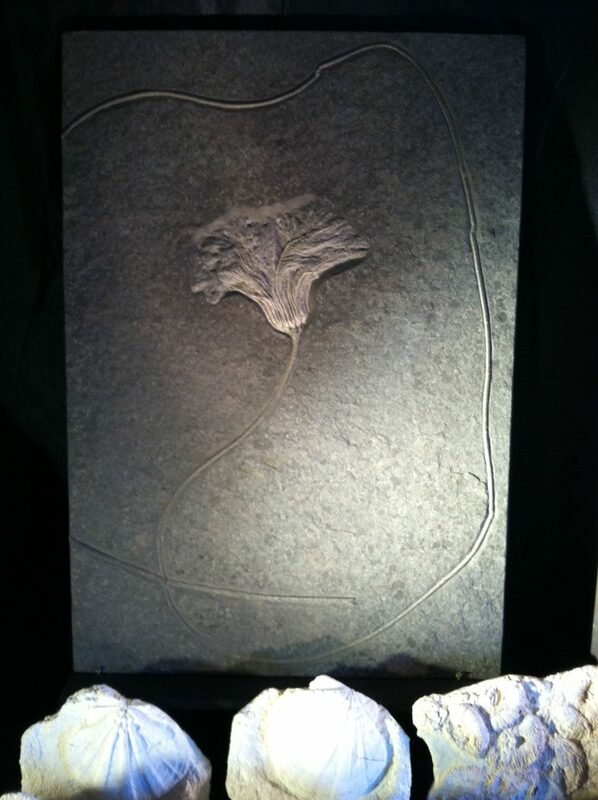 Large pyritized crinoid from Germany. 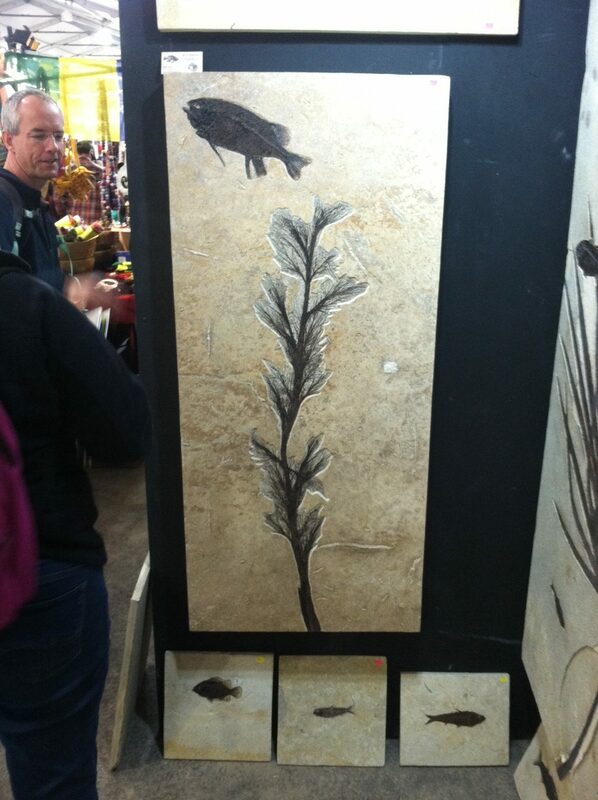 Fossil fish with fern from Wyoming. 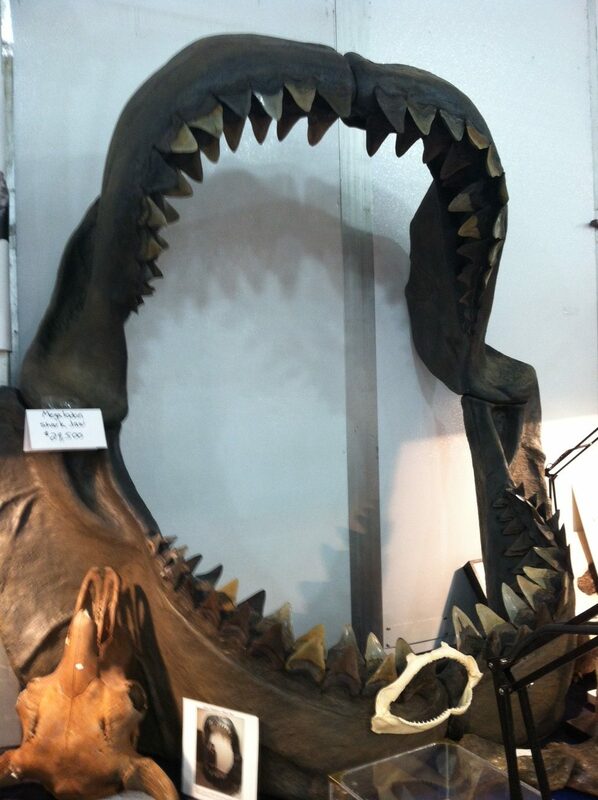 Reconstructed shark jaw from the East Coast. For those seeking collector mineral specimens and decorator pieces, there is the same unbelievable array of material available. 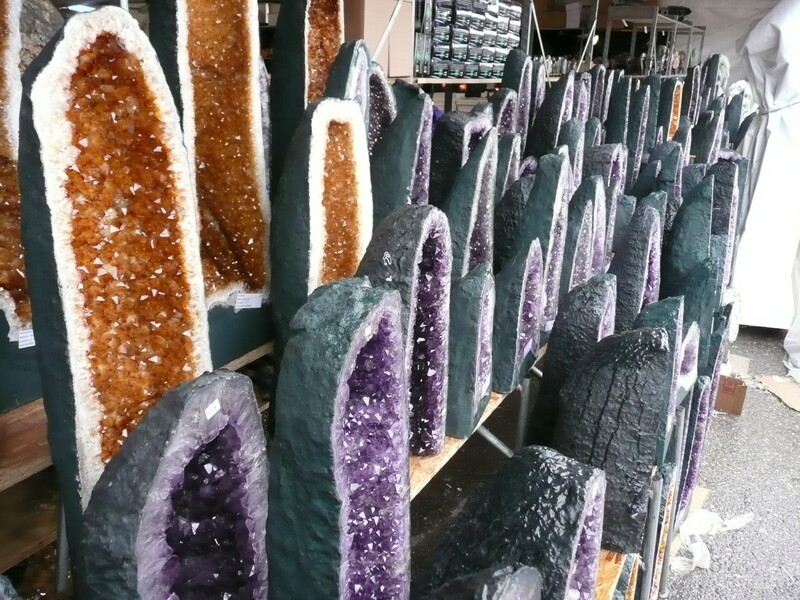 For example, check out the sampling of amethyst and citrine cathedrals in the picture below. Amethyst and citrine cathedrals from Brazil. Of course, there are also many tourist attractions in the Southwest. And what’s not to like about mountains on the horizon, a sunny sky, and 70 degrees in January? 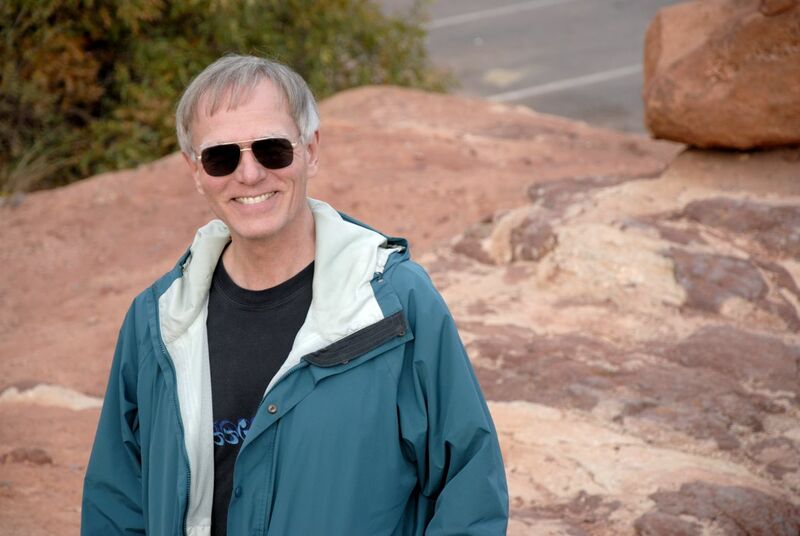 Plus all the geological features the area has to offer, such as Grand Canyon, Meteor Crater, Petrified Forest, Painted Desert, giant granite boulders in Prescott, and the hiking trails through the Red Rocks of Sedona. So if you need a break from the cold winter, consider a trip to the Southwest. 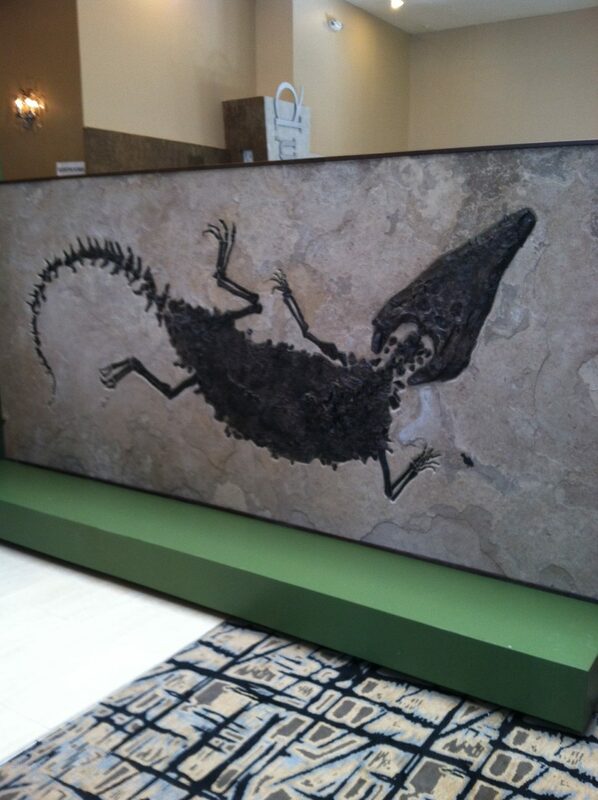 And if you go to the Tucson Show, perhaps I can offer suggestions on dealers who might have the fossil you seek.